Founded in Germany in 1864, DEUTZ AG was the world’s first industrial engine company. 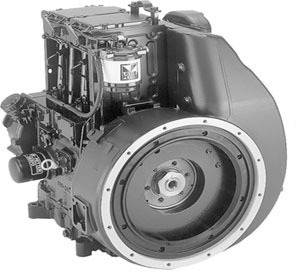 Today, DEUTZ is still one of the world’s leading independent engine manufacturers offering a broad spectrum of liquid-cooled and air-cooled engines with capacities ranging from 25 kW to 520 kW, which are used in construction equipment, agricultural machinery, commercial vehicles, rail vehicles and ships. People all over the world can tell you what the DEUTZ brand represents. After all, wherever DEUTZ engines are deployed, our customers know one thing for sure: they can rely on their DEUTZ engines. No matter how challenging the requirements are. The DEUTZ brand is a firmly established player in the equipment manufacturing and operating industry – and has been for 150 years. Motorenfabrik Hatz GmbH was founded in 1880 by Mathias Hatz in one of the most picturesque parts of Germany, initially to repair steam locomotives. The company progressed rapidly and in the early part of the twentieth century they turned their attention to the manufacture of combustion engines. Realising the efficiency of the diesel engine, in 1926 Hatz decided to develop their own engine. Since that date we they have been one of the most successful and innovative diesel engine manufacturers in the world, receiving accolades from many countries for design and reliability. The product portfolio of the business fields of Hatz Diesel extends from small and compact single-cylinder diesel engines with 1.5 kW to four-cylinder engines with a power of 56 kW. In addition to the compact construction of the single-cylinder engines, Hatz is known for the reliability and lifetime of its products across the entire range of services. All engines are produced according to customer requirement and specification and fulfilling the stringent exhaust gas regulations of the USA (EPA Tier IV final) and the EU (Stage IIIB). 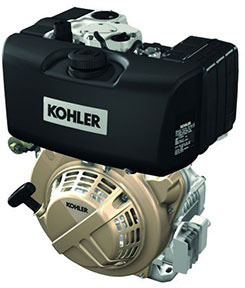 Kohler Engines manufactures small engines for riding lawn mowers, garden tractors, walk-behind lawn mowers, concrete construction equipment, outdoor power equipment, welders, pressure washers and other products. The beginnings of KOHLER engines can be traced back to 1920, when the KOHLER Automatic Power and Light 1500-watt Model “A” generator set was introduced. Designed to serve rural markets, it delivered 110-volt DC current and was powered by a KOHLER four-cylinder water-cooled cast iron gasoline engine. In 1939 work began on the development of liquid-cooled diesel engines. A variety of models were planned – speed constant 1200-rpm engines for KOHLER generators; engines would range from single-cylinder 5 hp to four-cylinder 20 hp. Variable speed engines up to 2400-rpms from 10 to 60 hp. High speed diesels from 5 to 20 hp for the U.S. Navy. Ever since the founding of the company in Japan in 1890 as a manufacturer of a cast-iron water supply pipelines, Kubota has continuously contributed to the progress of society through its manufacturing activities and technological developments. In the 1920s, Kubota developed and produced the company’s first compact kerosene engines for agricultural use. In the 1930s, Kubota started producing diesel engines to meet the needs of people who demanded more powerful engines. Throughout the years, Kubota has always produced the most technologically advanced engines possible. Today, people are becoming more concerned with energy and environment preservation. This will eventually lead to greater demands for even higher quality and much more versatile engines. Anticipating such needs, the Engine Division continues to research and develop ways to produce the best engine possible. The mission, for this leading manufacturer of compact diesel engines, is to strive for and attain the ultimate engine manufacturing technology. noise and vibration together with enhanced engine life and most of all outstanding reliability. Bryco is the largest Kubota Engine main dealer in the UK and are privileged to have attained the Kubota Gold + Service Dealer Award. In terms of Kubota Engines it doesn’t get much better than that. Lister Petter is a British company that manufactures internal combustion engines for industry. It was formed in 1986 from the merger of Petters Limited and R A Lister and Company. At that time the company was part of the Hawker Siddeley group, but today L-P is independent. Its products are small diesel engine market, ranging from single-cylinder water-cooled engines of 2.7 horsepower (the ‘Zeta’ series) up to the 64 horsepower (48 kW) ‘Delta’ engine. One higher-power engine of up to 335 horsepower (250 kW), the ‘Omega’ is also produced under licence. The engine designs range from more recent design high-speed turbodiesels (such as the ‘Gamma’ or ‘Omega’ engines) to traditional single-cylinder medium-speed types such as the ‘A-Series’ and ‘Phi’ types. Lister Petter engines are generally used in stationary industrial applications such as pumping and electricity generation. The company produces a range of complete generator sets, units equipped for welding and in-house pumping sets, as well as supplying engines to other equipment manufacturers. L-P engines are widely exported, especially for use in irrigation projects. The company also maintains a long tradition (of both its founder companies) in supplying engines for marine applications both as prime mover engines for small vessels and as auxiliary power units in larger ones. Lister Petter’s main product, the ‘Alpha’ series of sub-2-litre engines, is also available in spark ignition forms for running on natural gas or propane. L-P also manufactures and sells bio-diesel plants, allowing customers to produce their own fuel for diesel engines. 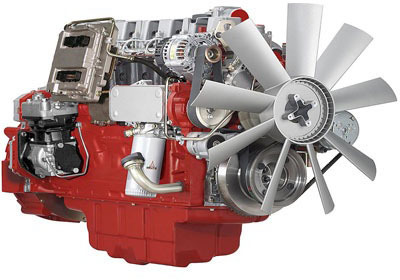 Lombardini is an Italian manufacturer of Diesel engines up to 65HP. The company was founded in Reggio Emilia by brothers Adelmo and Rainero Lombardini in 1933 under the name of “Lombardini Fabbrica Italiana Motori S.p.A.”. Adelmo Lombardini had already been manufacturing combustion engines since 1922 with a company called “Società Anonima Cooperativa Metallurgica” in Novellara (RE). Along with engines, the company of the two Lombardini brothers manufactured finished products such as pumping sets. After World War II this trend increased with production of agricultural tractors and tillers. During the years Lombardini became the most prominent Diesel manufacturer in Italy in its range and bought out its competitors one by one. Slanzi, Cotiemme, Acme and lastly Ruggerini company were all bought out and incorporated into Lombardini. As the growth of the company went on, its structure became more and more that of a modern industrial group. Commercial branches were established in the UK, Spain, France, Germany and US. Aside from the main premises in Reggio Emilia, new factories were established in Rieti (Italy), Czech Republic and India. In 2007 Lombardin was sold to Kohler Company becoming part of its Power Group. 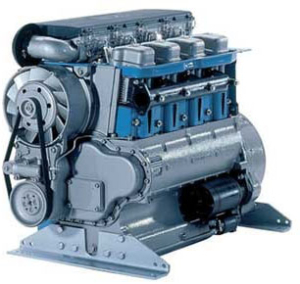 Lombardini manufactures air- and water-cooled Diesel engines. The Lombardini single-cylinder air-cooled engines are a classic. Old 3LD and 6LD have been sold for decades and still today continue to power tillers and other application. 15LD family is the latest single-cylinder Lombardini manufactures. It goes from 220 to 500 cc and from 3.7 to 12HP. Twin-cylinder and three-cylinder engines are also available to reach a power output of 37HP. 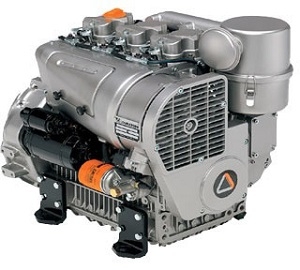 Water-cooled Lombardini engines range from 440 to 2200 cc and from 11 to 65HP. They come as twin-, three- or four-cylinder. Lombardini has engineered a 440cc engine with common rail, which is today the smallest common rail in the world. Ruggerini Motori S.p.a. was an engine manufacturer founded in 1919 in Reggio Emilia, Italy, (which is also where a competitor, and later parent company Lombardini was based). Ruggerini built air cooled diesel engines that were available in 1 to 3 cylinders and ranged from 4.5 to 38 horsepower. In 1999, Lombardini Fabbrica Italiana Motori S.p.A. purchased Ruggerini and the brand was eventually discontinued. The Ruggerini range was incorporated into the Kohler Diesel air cooled engine and Ruggerini parts are fully interchangeable with Kohler Diesel Engines. As the UK’s main Lombardini/Kohler dealer Bryco is please to offer spare parts and service for all Ruggerini engines. Yanmar is a Japanese diesel engine manufacturer with more than 100 years of history. 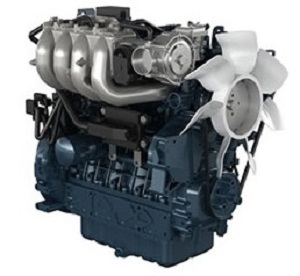 The engines are used in a wide range of applications, including seagoing vessels, construction equipment, agricultural equipment and generator sets. Within the last 20 years, Yanmar has also established a growing presence in the domestic Unmanned Aerial Vehicle market in Japan and elsewhere, with small helicopter UAVs such as the Yanmar YH300 SL and Yanmar AYH-3, primarily used in agricultural spraying and other forms of aerial application. Yanmar mainly specializes in diesel engines but and also makes light fishing boats, hulls for ships, tractors, combine harvesters, rice-planting machines, gas heat pumps, snow throwers, transporters, tillers, mini excavators, portable diesel generators Side by Side UTV and Heavy Utility Machinery. Yanmar is one of the most famous among the top brands of agricultural, marine machinery in Japan and the world. 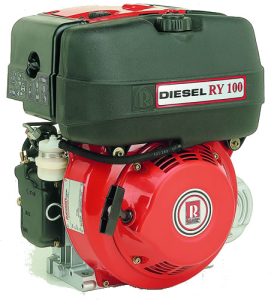 Small, light, air-cooled diesel engines are Yanmar’s speciality. 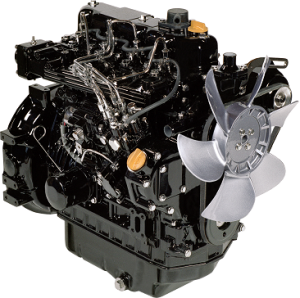 Yanmar also supplies engines to John Deere tractors and Thermo King Corporation used in refrigerated trucks and trailers.